Fastpay casino is created by people who understand that simplicity of online gambling is a key to success. Simple account verification and very fast payments making the players to return again and again. 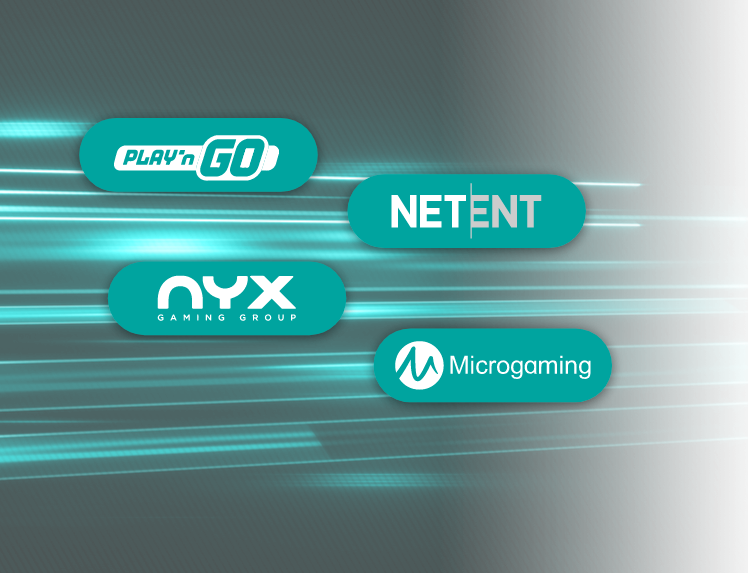 We are offering very simple solutions for players from different countries and offer online slots by Microgaming, Netent, Play’N Go, Nyx, all table and live games. Fastpay casino is not offering various bonuses and promotions and do not restrict money. If player wins – he will get his money in minutes. We are trying to do our best to add language localisations and payment methods to make gambling even more simple. Online gambling should be fair and simple, and money should be sent fast! VERSION 1.1 IS EFFECTIVE FROM 01.06.2018 AND LAST UPDATED 01.06.2018. This is an agreement ("The Affiliate Agreement") between you ("you" or "Affiliate") and Fastpay-affiliates.com, a gaming website operated by Sergey Koval Chaika 29, entrance G, apt 94., Varna, Bulgaria ("Company", "us" or "we"). By registering for the Affiliate Program, and by accessing and using any of our marketing tools or accepting any reward, bonus or commission, whether contained in the Affiliate Agreement or elsewhere as a part of our Affiliate Program, you will be deemed to have read, understood and agreed to the Affiliate Agreement. We may periodically make modifications to this Agreement. While we will do our best to notify you of such changes, we recommend that you revisit this page regularly. Your continued use of the Affiliate Program will constitute your consent to the updated Agreement. “Affiliate” means you, the person or entity, who applies to participate in the Affiliate Program. “Affiliate Account” means the account of the Affiliate set up after an Affiliate Application is made by the Affiliate to take part in the Affiliate Program and approved by Company. “Affiliate Agreement” means (i) all the terms and conditions set out in this document, (ii) the terms and conditions of the Commission Structures applicable to the different products and brands, and (iii) any other rules or guidelines of the Company and/or Websites made known to the Affiliate from time to time. “Affiliate Application” means the application made by the Affiliate to participate in the Affiliate Program. “Affiliate Links” means internet hyperlinks used by the Affiliate to link from the Affiliate Website(s) or any other any third party website to Company Websites. “Affiliate Program” means collaboration between the Company and the Affiliate whereby the Affiliate promotes the Company’s websites and creates Affiliate Links from the Affiliate Website(s) to Company’s websites. For such services the Affiliate is paid a commission depending on the generated traffic to the Company’s websites, subject to terms within this Affiliate Agreement and to the applicable product-specific Commission Structure. “Affiliate Website” means any website which is maintained, operated or otherwise controlled by the Affiliate. “Company” shall mean Sergey Koval Chaika 29, entrance G, apt 94., Varna, Bulgaria. “Commission” means the percentage of the Net Gaming Revenue, or, where applicable, a fixed amount for a New Customer (CPA structure) as set out in the Commission Structures. “Commission Structures” means any specific reward structures expressly agreed between Company and the Affiliate. “Confidential Information” means any information of commercial or essential value relating to Company such as, but not limited to, financial reports, trade secrets, know-how, prices and custom quotes, business information, products, strategies, databases, technology, information about New Customers, other customers and users of Company Websites, marketing plans and manners of operation. “Intellectual Property Rights” means any copyrights, trademarks, service marks, domain names, brands, business names, and registrations of the aforesaid and/or any other similar rights of this nature. 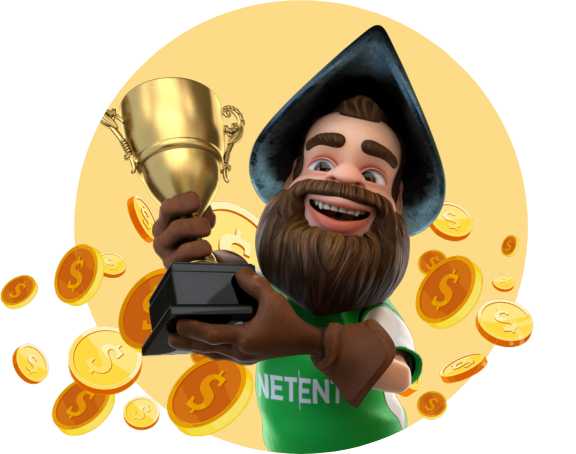 “Net Gaming Revenue” or “NGR” means all monies received by Company from New Customers as placed bets, less (a) winnings returned to New Customers, (b) issued bonuses, (c) net balance corrections, (d) administration fees, (e) fraud costs and chargebacks. For the avoidance of doubt, all Net Gaming Revenue amounts mentioned above are only related to New Customers referred to Company Websites by the Affiliate Website(s). “New Customer” means a new, first-time customer of the Company who made a first deposit amounting to at least the applicable minimum deposit at Company Websites’ player account, in accordance with the applicable terms and conditions of Company Websites’. This excludes the Affiliate, its employees, relatives and friends. “Parties” means Company and the Affiliate (each a “Party”). “Personal Data” means any information relating to any person, whether individual or legal that is or may be identified, directly or indirectly. To become a member of our Affiliate Program you must accept these terms and conditions by ticking the respective box while submitting the Affiliate Application. The Affiliate Application will form an integral part of the Affiliate Agreement. We will, at our sole discretion, determine whether or not to accept an Affiliate Application and our decision is final and not subject to any right of appeal. We will notify you by email as to whether or not your Affiliate Application has been successful. You will provide any documentation required by Company to verify the Affiliate Application and to verify the Affiliate Account information at any time during the term of the Affiliate Agreement. This documentation may include but is not limited to: bank statements, individual or corporate identity papers and proof of address. It is your sole obligation to ensure that any information you provide us with when registering with the Affiliate Program is correct and that such information is kept up-to-date at all times. We shall use our best efforts to provide you with all materials and information required for necessary implementation of the Affiliate Links. At our sole discretion, we will register any New Customers directed to the Company Websites by you and we will track their transactions. We reserve the right to refuse New Customers (or to close their accounts) if necessary to comply with any requirements we may periodically establish. We shall make available monitoring tools which enable you to monitor your Affiliate Account and the level of your Commission and the payment thereof. We shall use and process the following personal data of an Affiliate or any Affiliate employee, as follows: your username for logging in, your email address, name, date of birth, your country and address, telephone number and financial data for the purposes of ensuring a high level of security, fulfilling the AML legal requirements and for managing our business relationship. Subject to your strict adherence to the Affiliate Agreement, we shall pay you the Commission in accordance with Clause 6.
the right to withhold monies held in the Affiliate Wallet if they are not withdrawn within a period of 3 (three) months from the date of the termination of the Affiliate Agreement in accordance with clause 9.1. Subject to your adherence to the provisions of the Affiliate Agreement, you will earn Commission in accordance with the Commission Structure. We retain the right to change the Commission percentage and method of calculation of Commission in accordance with this clause. The Commission is calculated at the end of each month and payments shall be made on a monthly basis in arrears, not later than the 10th of the following calendar month. Payment of Commission will be made through our Affiliate Wallet. Due to existing regulations, Affiliates may be required for verification and “know your customer” documentation before a withdrawal can be accessed. A minimum amount of €100 (twenty euro) may be withdrawn from the Affiliate Wallet at one time. If an error is made in the calculation of the Commission, the Company has the right to correct such calculation at any time and will immediately pay out underpayment or reclaim overpayment made to the Affiliate. The Affiliate may, at the Company’s sole discretion, be provided with the opportunity to restructure its commission structure. The Affiliate’s acceptance of a Commission payment shall constitute the full and final settlement of the balance due for the relevant period. In case the Affiliate disagrees with the balance due as reported, he or she shall notify the Company within fourteen (14) calendar days and clearly state reasons of the disagreement. Failure to notify the Company within this time limit shall be considered as an irrevocable acknowledgment of the balance due for the relevant period. The Commission shall be deemed to be exclusive of value added tax or any other applicable tax. The Affiliate shall have the sole responsibility to pay any and all taxes, levies, charges and any other money payable or due to any tax authority, department or other competent entity as a result of the compensation generated under the Affiliate Agreement. 40% of NGR will be the standard monthly commission for all the affiliates from the beginning. During the term of the Affiliate Agreement, you may from time to time be entrusted with confidential information relating to our business, operations, or underlying technology and/or the Affiliate Program (including, for example, the Commissions earned by you under the Affiliate Program). You agree to avoid disclosure or unauthorised use of any such confidential information to third persons or outside parties unless you have our prior written consent. You also agree that you will use the confidential information only for the purposes of the Affiliate Agreement. Your obligations in regards to this clause survive the termination of this Agreement. In addition, you must not issue any press release or similar communication to the public with respect to your participation in the Affiliate Program without the prior written consent of the Company (with approval of the exact content to also be approved by Company). The term of the Affiliate Agreement will begin when you are approved as an Affiliate and will be continuous unless and until either Party notifies the other in writing that it wishes to terminate the Agreement. In this case the Agreement will be terminated 30 days after such notice is given. For purposes of notification of termination, delivery via e-mail is considered a written and immediate form of notification. For the avoidance of doubt, Company may also terminate (in accordance with Clause 5 above) upon immediate notice at any time for the Affiliates failure to meet their obligations under the Agreement or otherwise for the Affiliate’s negligence. Upon termination you must immediately remove all of Company banners or creatives from the Affiliate Website and disable all Affiliate Links from the Affiliate Website to all Company Websites. All rights and licenses given to you in the Affiliate Agreement shall immediately terminate. You will return to Company any confidential information and all copies of it in your possession and control, and will cease all uses of all Company Intellectual Property Rights.